It's a well-documented fact that puppies are magical. 1. Don’t be fooled. The dog is the same size; it’s the furniture that shrank. 3. This puppy took “big spoon” too literally. 4. When this puppy is done transforming, she’ll probably be taller than her human. 5. This puppy turned into a dog in just eight months! 6. Luckily, most puppies eventually grow into their tongue. 7. This husky got seven months bigger in the blink of an eye. 8. This puppy hasn’t blinked in the two years it took to turn into a dog. 9. Diamonds are forever, and so are sparkly pillows. 10. This puppy grew sideways instead of longways. 11. What’s really amazing is that the puppy’s bed stayed intact. 12. The puppy gets bigger, but his chin rest stays the same size. Magic! 13. 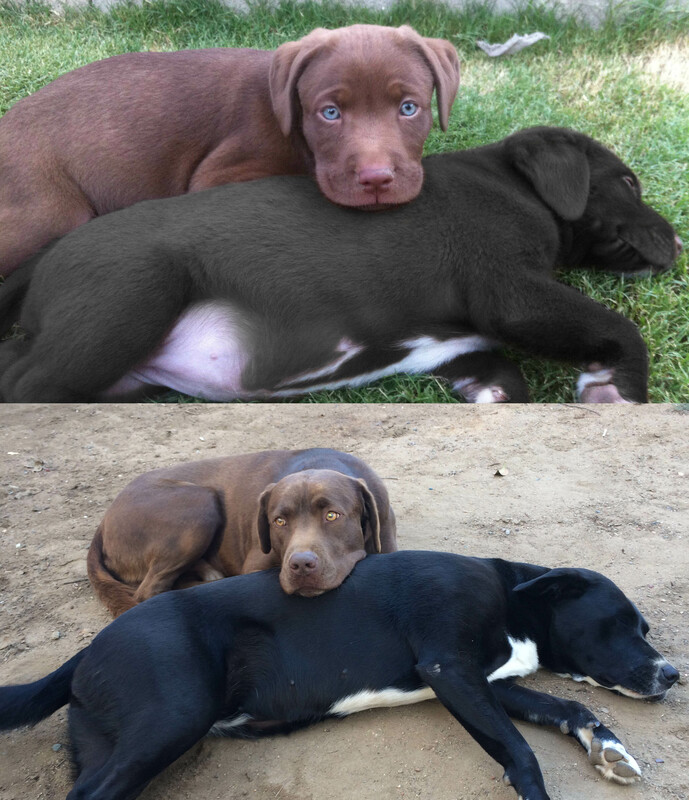 This pup basically doubled in size in just two months. 14. From body pillow to travel pillow in no time at all. 15. Road trips were probably more fun before this puppy took up the whole passenger’s seat. 16. This puppy might not be able to squeeze through that doorway for much longer. 17. Thanks to some extra reps at the gym, the ratio of man to dog remains steady. 18. No matter how much time goes by, we’d recognize that smile anywhere! Need more Cuteness in your life? Scroll through our gallery of dogs sleeping like weirdos, and then like us on Facebook to keep your newsfeed on point!